I believe it was in the eighth grade that I worked lovingly on a detailed drawing, and halfway through, spilled food on it. I didn’t throw the work away and I actually don’t remember being too upset about it (my parents may remind me otherwise). Instead I simply covered the food stain by drawing an image of some sort over it. I have held tight to the notion that something is only a “mess up” if you aren’t willing to change course. Yesterday, a few minor botches in cutting started adding up to big botches. I took my own advice and changed course. 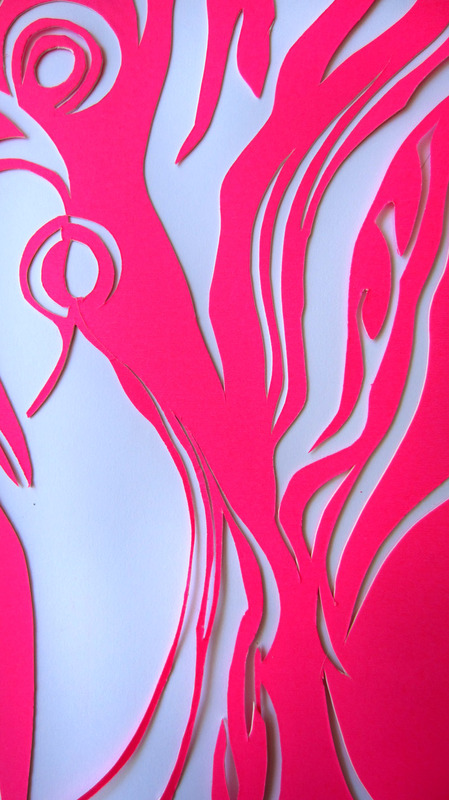 Flipping my paper over in order to more easily ignore my original design, I began cutting freestyle. 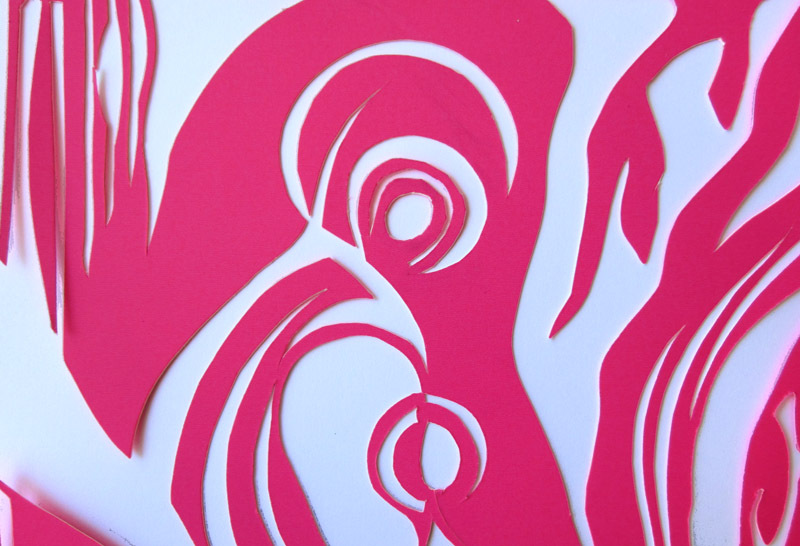 The result is this flowing cut paper design that I feel is a success. This 8 x 10″ piece (super fluorescent but the pic didn’t capture it) will be available for purchase eventually. Right now I’m running a race in Washington! I’ll put it on Etsy when I get back. Beautiful! I just came across your blog today and love this 365-day project you are doing. Love this! 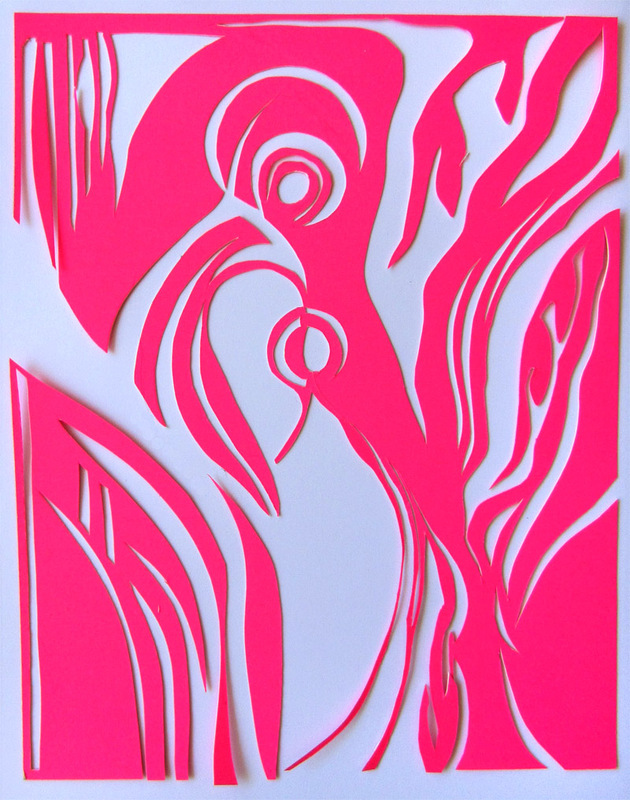 Love the design and love the fluorescent pink! Thank you! Sure appreciate you checking it out!